I love words. I especially love how some words sound when you say them out loud. I think that's why I like to write books that incorporate word play and rhymes and that are meant to be read aloud. I was just introduced to the word pusillanimous because an amazing writer friend and poet, Susan Blackaby, was challenged to use it in a poetry contest in which she is competing. (At the time of this writing there are less than 6 hours left for the voting in the current round, the final four, so get out there and vote for your favorite poems!). The overall approach to the competition is that poets are each given a word that they must use in a poem that they must craft in 36 hours. Voting happens, poets advance or get eliminated, voters get to experience a wide range of poetry, and new words get into our brains. Fun huh? My own kids have really enjoyed reading the poems from the contest. We've gotten out the dictionary several times and have learned some fun new words along the way. In fact, my middle schooler planned to impress her teacher by working pusillanimous into something she said at school today (thanks poets and Think Kid Think). 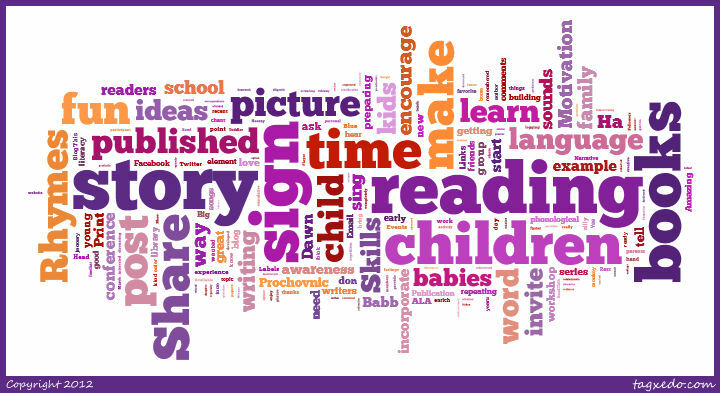 This all ties in nicely with the theme I've been writing about for the past several posts: Summarizing the National Research Council's six key skills recommended for preparing children to become readers when they enter school. Today's topic: Enriched Vocabulary: Knowing the words or names for many different things. So how do you build a child's vocabulary? 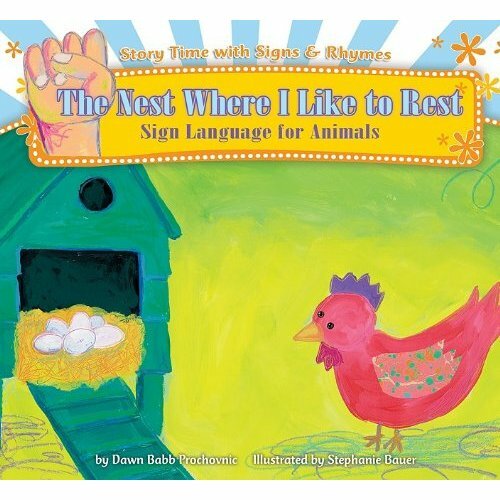 Talk, sing, read, sign. 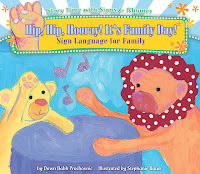 Use "real" words (and real sign language) with your children. Label the things you see when you are out and about and the things you put into your cart when you are shopping. Give them a diet rich in vocabulary and watch their brains grow! Don't use baby talk. Don't try to simplify your language just because you are talking with a child. 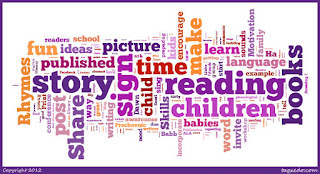 Speak and read big words, and kids will rise to the occasion. They will ask questions. Their vocabularies will grow. I'll never forget when I was pregnant with my son and doing the "older sibling hospital tour" with my daughter. My husband and I used real words when we talked about the pregnancy, so my 2 1/2 year old daughter knew that her baby brother was growing in "mommy's uterus." When the hospital representative that was touring us around the hospital showed us the nursery with all the new babies, she said, "these are some of the babies that recently came out of their mommies' tummies." My daughter wasted no time letting it be known that her baby brother was growing in a uterus, not a tummy. You tell 'em girl! When my kids were still lap-sitters, one of my favorite authors to read was William Steig. He always wove a complicated word or two into his books, and I could never make it through a book without one of the kids asking what a particular word meant. Typically, I would situate our reading area with a dictionary nearby so that I could look up the word(s) in question when I wasn't sure of the definition. I liked that my children and I were growing our vocabularies together, and I liked that they saw me referring to a dictionary for guidance. Now that they're older (actually, I'm older, too! 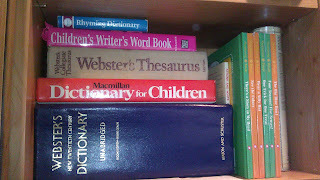 ), we play games like Apples to Apples and Pictionary, and still keep a dictionary nearby (though I must confess, often that dictionary is accessed online via one of our smart phones). 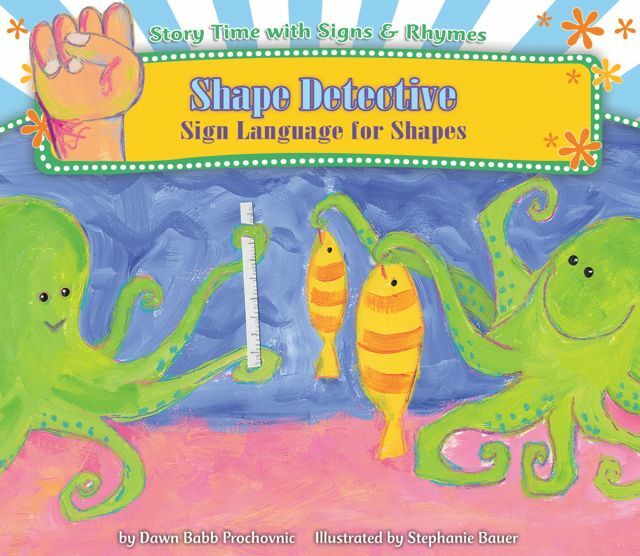 My books in the Story Time with Signs & Rhymes series are written at a third grade reading level, so I had to limit my use of complex vocabulary. 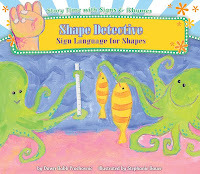 I did get to keep a few tricky, less ordinary words in my stories, like ruckus, in "The Nest Where I Like to Rest," stew in "The Big Blue Bowl," and geometric sleuth in "Shape Detective." When I read "The Nest Where I Like to Rest" with kids, I act out the part of the story that uses the word ruckus ("But what was that ruckus inside of my nest?") and invite kids to make educated guesses about the meaning of the word. Newsflash: they always figure it out, even the younger ones! When I read "See the Colors," I use a variety of colorful props (usually hats) to go along with the story. Each page is beautifully illustrated to match with the color word featured on each spread, so it's easy for children to begin to "see" the colors themselves. 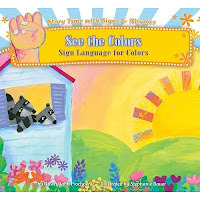 In fact, as I proceed through the book, children begin to say the color word for each new page even before I've started reading the new page. 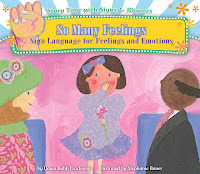 For "So Many Feelings," it's really fun to emotively model each feeling word covered on each page. 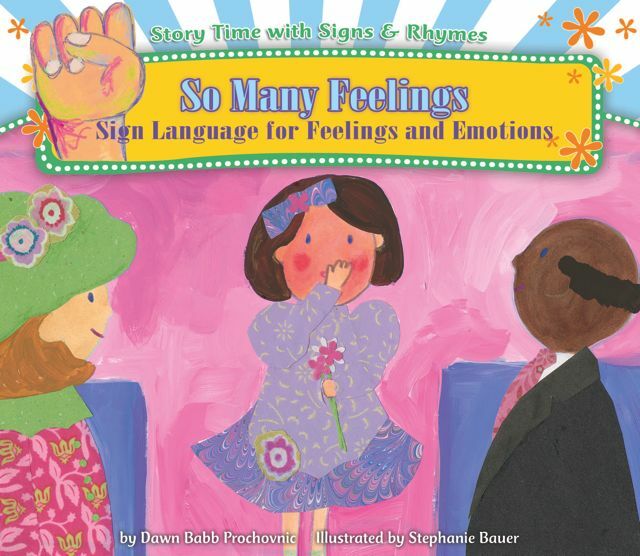 Sign language enriches this experience because many of the signs for feeling words look and feel like the emotion they are describing. Proud involves a strong, confident body stance. Sad involves some frowning. Angry incorporates some scowling. Words like lonely provide additional opportunity to describe meaning, because the sign for lonely involves just the index finger, (which resembles one) and when you are alone (just one), you might be lonely. 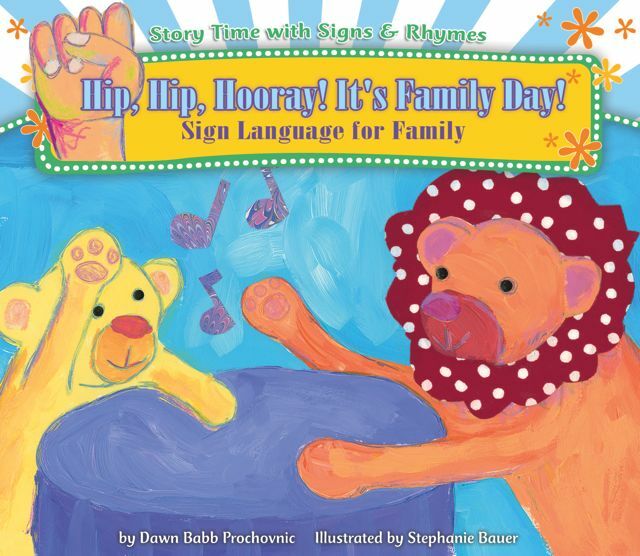 Sign language also enriches a reading of "Hip, Hip Hooray! It's Family Day!" Most children are familiar with the words brother and sister, but they are fascinated to discover that the signs for brother and sister come from the combination of the signs "boy" (or girl) and "same" (because brothers are boys from the same family and sisters are girls from the same family). If you're interested in more of this sort of thing, one of my heroes, Nellie Edge, puts out a great monthly newsletter, and this month's version just happens to be on the subject of poetry AND what she calls voracious vocabulary. Read Nellie's newsletter here. Okay, now it's your turn. I'd love to hear some of your favorite "big words." I'd also enjoy hearing how your children have incorporated some of the sophisticated words you've taught them! Don't be pusillanimous. It's fun to share. Really. I know you can do it! Thanks for the feedback, Sheena! I'm glad my musings got you thinking in new directions! Why Do I Like to Write?